What Is an Organizational Climate in Your Workplace? Climate change is often discussed when people think about the environment. People debate about whether a storm is just simply a “weather” event or the result of “climate change.” But, while the weather and the climate are closely related, they are not the same. "Psychological climate is defined as the individual employee’s perception of the psychological impact of the work environment on his or her own well-being (James & James, 1989). When employees in a particular work unit agree on their perceptions of the impact of their work environment, their shared perceptions can be aggregated to describe their organizational climate.” (Jones & James, 1979; Joyce & Slocum, 1984). People within the organization agree on the workload and how the work is carried out and that agreement creates the climate. Moira Clark, professor of strategic marketing at Henley Business School, identified seven different areas that make up the organizational climate in your organization. Here’s what they are and how they affect your business. What does your company structure look like? This isn’t just whether you are hierarchical or operate more in a matrix organization, but how people interact with each other. Are your rules rigid or flexible? For example, do individual employees have the power to make decisions or do they need approval for every decision? How your organizational structure empowers employees—or not—is significant when you consider your organizational climate. How you pay your employees and how you reward them for excellence strongly influences your organizational climate. Does your compensation department frequently evaluate pay rates to make sure that they are aligned with the market? Or, do people only receive raises if they threaten to leave their employment? What happens when an employee lands a great new account? Do you give them a pat on the back, a shout out in the company newsletter, or a hefty bonus? Each company approaches its rewards and recognition programs differently, and how you approach them has an impact on the feelings of your employees. If your pay is unfair or overly secret, the employees’ shared perception of your organizational climate will be one of unfairness. If, on the other hand, every pay decision is backed by performance and market rate data, your employees will shift their thinking about the climate to fairness. Are you a team? Or are you working in silos in individual departments that occasionally pass each other in the hallway? You want to answer the question, “who is ‘us’ and who is ‘them’?” If the answer is everyone at our company is “us,” and our “competitor” is them, you have a cohesive climate. But, if your “us” is managers and “them” is the union or the employees or vice versa, you’ll experience a lack of company cohesion. If you’re disjointed and working toward differing goals (or lack goals in the first place), you will have an unpleasant climate. Clearly, in the case where "them" is the competition and "us" is everyone in the company, your positive, cohesive organizational climate can lead your business toward success. This is an example of how a positive, cohesive organizational climate can lead your business toward success. How well you work together is part of the organizational climate. What happens when an employee is out sick? Does everyone take over the work, knowing that your sick coworker needs rest, or does everyone complain that Jane didn’t get her flu shot, so this illness is really her own fault? Are people afraid to go to their managers or HR with a problem? Or do people work together and support each other through difficult times? Are there cliques and does gossip whisper its way around the building, or do people trust each other? How people care for each other at work is an integral part of your organizational climate. Your company’s attitude toward customers is the last pillar of your organizational climate. Is the customer king and never wrong or do you put your employees first? If you choose the former, you may find yourself neglecting your employees to please a demanding customer who will never be happy. If you put too much emphasis on employee happiness over customer support, no one will be working on a Friday afternoon to answer a customer’s question. 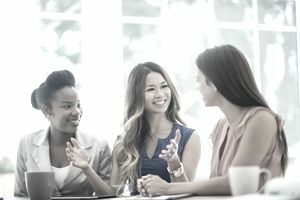 Companies that can find a happy medium between treating their customers right and taking care of their employees can have an excellent organizational climate. Take a look at these five different areas that comprise organizational climate and ask yourself how your organization ranks. If what you see isn’t what you want, climate change is possible. Sit down and determine how you want your organizational climate to look and make the necessary changes. Much like climate change in nature, organizational climate change will take time and competing forces that may make change difficult always exist. However, every business can develop a wholesome climate if the leaders want an employee and customer supportive organizational climate.